Alexithymia: Coined in 1973 by Harvard Professor of Psychiatry Peter Sifneos, it is the word used to describe the inability to identify emotions, describe what they do and express them in words. Being unable to understand feelings, was originally thought solely a problem of Autism Spectrum Disorders. It is now recognised as a core competent of many mental health conditions, including Borderline Personality Disorder. We are out of touch with our feelings and as a result have become emotionally unstable. However, with practise we can get back in touch with them, and go onward in our journey to recovery. It is worth pointing out Alexithymia does not mean the absence of emotions rather a problem with labelling. For those of us with BPD, we are well aware of the devastating effects of feeling too much. Anger, Shame, Fear, Sadness, Disgust, seldom Joy, we hurtle from one crisis to the next, subject to the whim of chaos. Telling us to stop feeling, is like telling a man on fire, to stop burning. This is the heart, we’re speaking about after all. The problem is not our ability to feel, but understanding feeling. When a strong emotion hits, we tend to become the emotion. We become pain, sadness or anger, and in doing so we become trapped in the fire. The key to dousing the flames, is learning how to identify emotions, and describe how they work. This is the key to recovery. It goes like this. There are eight primary emotions: Joy, Trust, Fear, Surprise, Sadness, Disgust, Anger, Anticipation. Valence is the word to describe whether an emotion is felt as positive or negative. Arousal, is the word used to describe the intensity we feel it at. Emotions can emerge out of an outside event (we see a snake and feel fear) or from an internal event (a memory surfaces we feel sad). Furthermore, primary emotions can trigger secondary emotions. Feelings blend, much like colours, to create ever deeper layers of complexity. Emotions have three main purposes. Firstly they help us communicate with others. If our face shows fear or distress, other people recognise this, and are inclined to help or comfort us. Secondly, they motivate action. If we are threatened, the feeling of fear, will either make us fight back or run away. 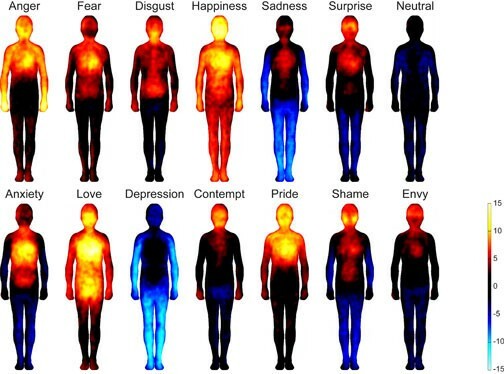 Finally emotions validate our own experience of how we see the world. We love one person, hate another, we are passionate about one cause, but not another. 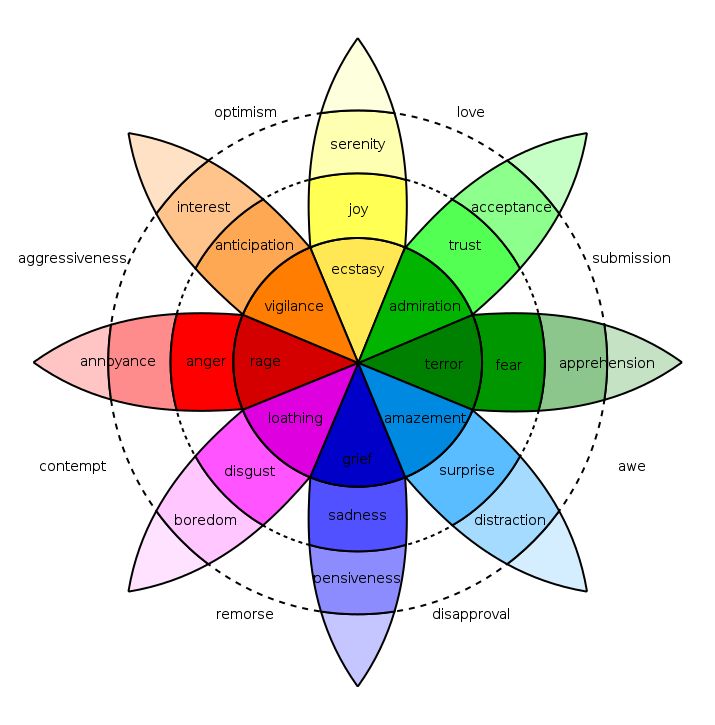 Each emotion has a physiological, cognitive, behavioural, and social basis. If we are able to understand purpose and parts, we will be well on the way to getting better. Biologically speaking, emotions emerge from out the brain’s limbic system. If we are in accommodating environments attuned to our existence, not only will our brain appreciate it, our mind will say ‘Good job!’ This cognitive feedback, helps us act accordingly, and we develop a strong and stable sense of identity. If on the other hand, our environment is unaccommodating, our limbic system will start malfunctioning. We’ll begin to feel doubt, and wonder ‘am I wrong?’ In turn, such thoughts will lead to violent attempts to control how we feel. Maladaptive behaviours become ways to cope. BPD is a result of the individuals emotion and enviroment’s reaction being out of sync with one another. As time goes on, the difference is intensified and life becomes difficult. Suffering and distress become normal. 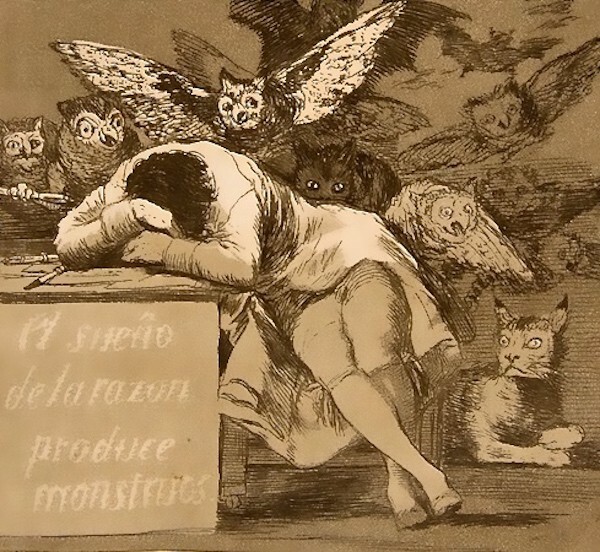 It’s not too late to learn about these mysterious visitors we call emotions. They come into our mind, cause chaos, and leave. However, through mindfulness we can learn to greet emotions appropriately, sit them down and find out what they want. In turn we can utilise them for our journey to recovery. First try this is in the abstract. Think of the primary emotion Sadness. Now think of all the other names you can use to label this feeling: Miserable, low, upset, tearful, heartbroken, despondent, despairing, grief-stricken, downcast, depressed etc. Notice that all these words, describe sadness, but each also has subtle differences. Just like the colour blue, can have different shades, so too sadness is felt in varying degrees. Now ask yourself what is physiological component of sadness? Tears, shallow breathing, fast heart rate. What is the cognitive compotenent: A thought like ‘I feel so depressed, I want to hide’. The behavioural component: Diving under the covers, and withdrawing from the world. Finally ask yourself, what triggers sadness, what are its precursors, and after affects. Does the environment respond accordingly? Thats the first step. Now let’s try identifying feelings in real time. Firstly, a word of caution: At the beginning stage of your journey, it’s near impossible, to label strong emotions, while in crisis. Distress tolerance skills are necessary. Nevertheless, we can try labelling more benign affective states, without too much pain. Curl up in the duvet, get some popcorn, put on your favourite film and afterward ask yourself: How do I feel? Do you feel happy, guilty, depressed? In turn does the primary emotion, get obliterated by a secondary one? For example if you feel happy, do you feel guilt for enjoying yourself? If you feel depressed, do you get angry, thinking I should be happy? Notice too, that this is an emotion generated from an outside event. Now try creating an emotion from an internal one. In your mind speak the words ‘I love myself’. How do you feel? Perhaps the primary emotion is sadness. You can’t believe these words they don’t make sense. Maybe you feel angry at first, after all new age affirmations are all nonsense, and don’t help really. Now, see if you get a secondary emotional reaction, which counteracts the first. If you are sad, do you feel angry that the words ‘I love you’ work for other people, but not for you? If you are angry, do you feel sad, because you want this sentence to mean so much more than does right now. BPD becomes a problem when we attempt to destroy emotion, rather than accommodating it. The point is to accept all of this without judgement. Feelings, both good and bad, pleasant and unpleasant are visitors of mind. They come and go, but remain separate from us. Don’t hand every emotion a note saying ‘bad’ or ‘good’, ‘welcome’ or ‘unwelcome’, Simply accept all guests with hospitality. Remember, you are not the emotion, you are so much more than that, so don’t give in or give up. I’m lucky enough to live very close to a Buddhist monastery. The founder abbot, is the renowned meditation master Ajahn Sumedho. Every time I listen to him speak, he reiterates the same message. For every feeling that enters the mind, say to yourself: ‘It’s like this.’ ‘Anger, is like this.’ ‘Sadness is like this.’ ‘Fear is like this.’ Perhaps you don’t know how you feel at the moment, you don’t have the words; if so you need only say ‘It’s like this.’ With practise and perserverance you’ll be able to identify emotions much more clearly, and in time describe how they operate. I’m not an expert, I still have emotional meltdowns, where my skills go out the window. But if we all practise a little day by day, we’ll be aiding our recovery. We too can be wise masters of mindfulness. Welcomes all visitors: You never know, happiness may one day turn up on your doorstep.